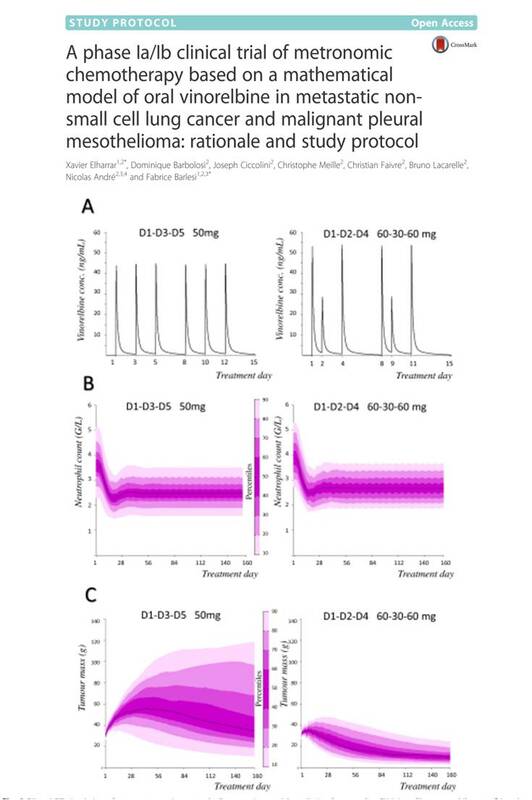 Metronomic Chemotherapy aims at exploring novel and alternate modalities of administration of classic cytotoxics, both as a means to reduce the toxicities and to improve efficacy by interfering with novel targets such as endothelial cells, tumor micro-environment or by awakening the immune system. 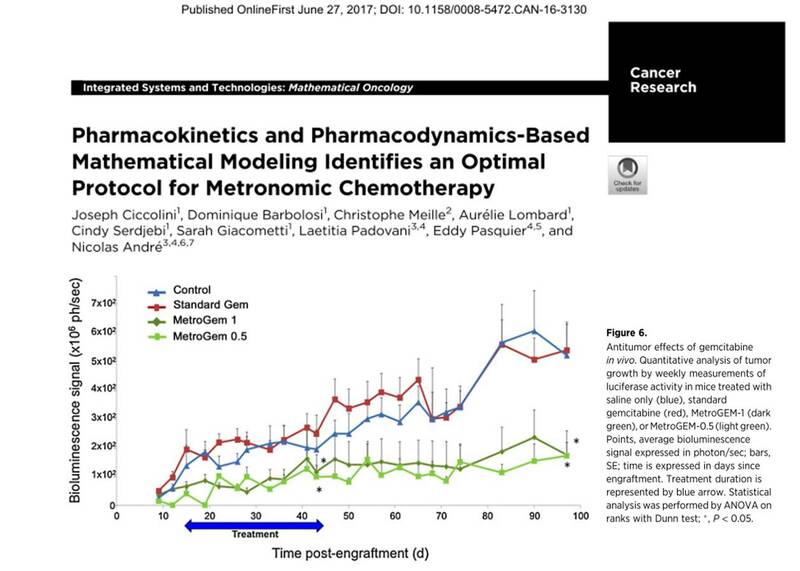 Because the general concept of metronomics “low doses administred frequently with little or no drug-free intervals” is vague, the SMARTc has developed a generic PK/PD model dedicated to determine the optimal features when setting up metronomic regimen. Either tested in tumor-bearing animals or as part a phase I/II clinical trial in lung cancer, this model proved its relevance to identify the best dosing and scheduling with various drugs such as temolozomide, gemcitabine or oral vinorelbine.